Diamond Accents – What Are They and What Do You Need to Know? Diamond accents are simply the smaller diamonds that sit alongside a center diamond in a setting – their purpose is to accentuate the center diamond and make it more captivating. They also allow you to add personality and individuality to your ring, and provide customers with a huge range of choice. 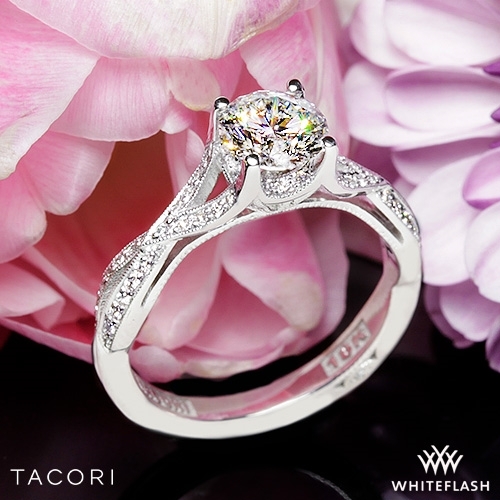 For example, in this Whiteflash Tacori Ribbon ring you can see how the signature Tacori milligrain accents ensure the center stone really is striking. You can see a similar effect of the diamond accents in this Petite Vintage Pavé Leaf Diamond Engagement Ring. Accents add to the volume and the dazzle and shine. In many ways, whether you like diamond accents and the precise nature of them, will be a matter of personal choice. After all, beauty is in the eye of the beholder. However, it can help to understand the different types of diamond accents, what generally works well, and what you should be looking for. The cuts or shapes of diamond accents can vary, but typically they will be Small Round diamonds, Trillion cut diamonds, or Baguette diamonds. These cuts generally add to the overall look of the center diamond without unreasonably adding to the cost. The most popular diamond accents are small round diamonds. They are simple and elegant and their classic nature works well alongside any center diamond, whatever the cut. You’ll see them in a wide choice of settings including Pavé, Side-Stone, Three-Stone, and Channel. However, it’s not that complicated really, because Small Round Diamonds are just smaller versions of their big brother namesake. They too have 57 or 58 facets and so display many of the same properties – just in smaller quantities. Small Round Diamond accents are excellent for simply adding to the sparkle and shine of a ring, whilst maintaining elegance. They look good wherever, and can be used very much to display the personality of both the ring and the wearer. 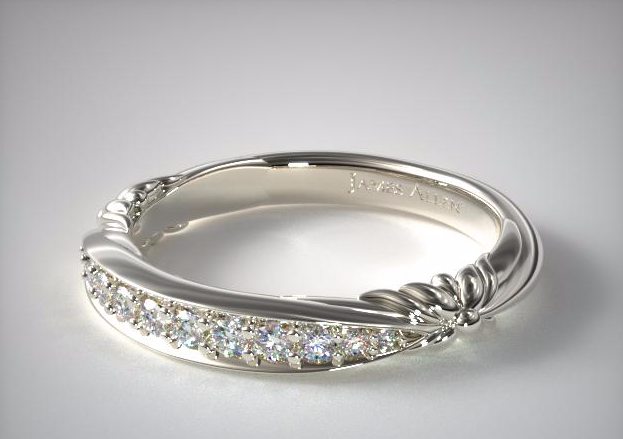 When used in a channel they create an excellent background sparkle that exacerbates the overall sparkle of the main stone, or create a dazzling display on their own, such as in this James Allen Platinum Pave Graduated Wedding Band. Trillion cut diamonds really do make your ring stand out from the crowd. They are still incredibly unusual and as such, if you want a ring to make a statement, then trillion accents will do the trick. Trillion cut diamonds are noticeable for their triangular shape and thus, their huge table width. Due to this you can get a bigger look for a relatively low carat weight. Trillion cut accents work particularly well as accents when used as the side-stones in a three-stone ring. For example, this Custom 3 Stone Ring by Whiteflash. As you can see, the Trillion accents enable the center stone to stand out, look even larger and all-encompassing. Because of the three sides, they also follow the eye’s natural line around the ring giving a complete and holistic look. The Baguette cut is often used in accent stones because it aids the overall symmetrical look of a ring and has a large table. It’s classic and elegant, and frequently used in a row. 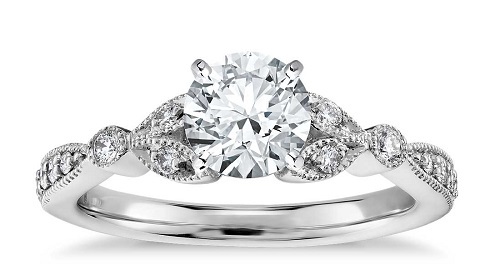 It uses a step cut, which complements the Round cut or Cushion cut frequently used in the center stone. They don’t have the same brilliance as the Small Round cuts or Trillion, but don’t discount them because they appeal for different reasons. They really help to bring flow to the ring, and extend the walk of the eye over the overall effect, for example in this Three Stone James Allen Engagement Ring. There are two types of Baguette cut: the Tapered Baguette; and the Straight Baguette. Tapered Baguette: The Tapered Baguette is striking because one end of the rectangle is narrowed. They really help to draw a sense of completeness around the front of a ring setting whilst still offering a classic feel. They work well alongside all cuts, particularly Emerald and Asscher, but do work well and offer a timeless feel with any cut. Straight Baguette: Unlike the Tapered Baguette, the Straight Baguette is a true rectangle with no narrowing at one end. They offer a symmetrical and balanced look. Like the Trillion cut they can appear larger relative to their carat weight because of their table size. As accents, they work particularly well when placed in a row, or as the side-stones in a three-stone ring. 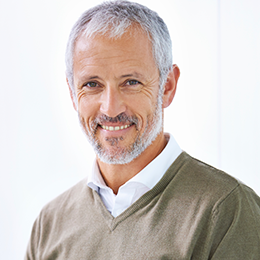 We typically see them with a wide range of cuts. If you’re looking to include accents alongside a center stone then it is important to consider that center stone and the overall look you are trying to achieve. You need to give thought to them all together, and not just individually. This is of particular importance when it comes to color. They don’t need to exactly match (a single grade difference is unlikely to be noticeable to the naked eye), but you need to remember that you want the center diamond to be the star of the show. The purpose of the accents is to accentuate and add to the look of that stone, not overpower it. Therefore, your accent diamonds should appear colorless but in reality be a couple of grades lower than the center diamond in terms of color. In this way you can use the accent stones to provide a sense of illusion. For the best diamond sparkle I suggest a Hearts and Arrows Diamond. Whiteflash offer H&A Diamonds which have been cut to Super Ideal grading which offers the optimum light reflection, their A CUT ABOVE® Hearts and Arrows Diamonds are of the highest quality and cut standard. I would also take a look at Blue Nile and their Astor Collection and James Allen with their True Hearts Line. In terms of clarity, you can also choose diamonds which are a grade or two lower than the center stone. It’s not usually economical to invest more in the clarity of these stones, particularly if they are small. Depending on what you select, diamond accents are typically in the range of 0.01 to 0.18 in carat weight. What you choose will depend on the look that you are trying to achieve. There are some general clues to help you work out how diamond aesthetics work. For example, when using diamond accents as side-stones in three stone ring settings, you should aim to use accent diamonds that are around half the overall size of the main stone, or the width of the table size of that center stone. For pave and channel settings, you’ll generally be looking at a greater number of smaller carat weights. You may discover that you get a little confused here as it’s very difficult without grading reports in front of you. This is why it is worth choosing a reputable jeweler, who will ensure you have all of the information you need. Really, though, much of it comes down to personal preference and fundamentally what you like the look of. Just make sure you consider the overall balance and light performance, and consider how the stones all work together. What you should always do though is make sure the accent stones themselves are balanced or the same in size, and assess this against the wearer’s finger size. At the end of the day, diamond accents are all about individuality and therefore you should feel entirely confident choosing a ring with accents based on personal preference. They do help and enhance the overall look of a center stone – just make sure that the color, clarity and size all work in harmony and complement each other. If in any doubt, get in touch with me directly.